Operation as main unit or auxiliary unit. 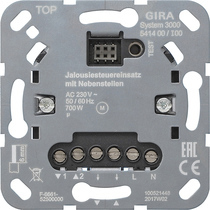 Integration in group control or central control can be done via auxiliary inputs. Wind alarm locking via auxiliary input.